How to import edit Canon EOS C200 video in FCP X and Premiere Pro? In terms of specs, the C200 is certainly Canon’s most interesting camera since their entry into the cinema market. It's an exciting camera, but not for the typical reasons. 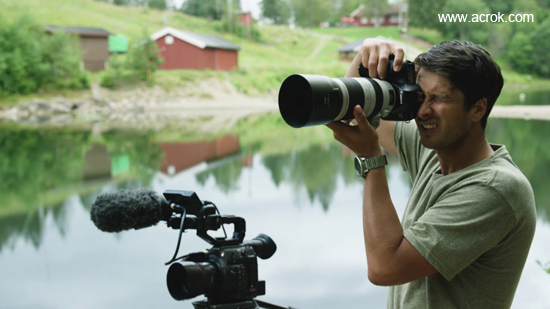 Because a 4K Canon has eluded most modest budgets, the C200 stands out as special. The first thing most people will be interested to see is the RAW footage out of the Canon C200. The Canon C200 also offers MP4 with a compression of 150 Mbps, a standard h.264 compression that most entry level prosumer cameras get these days. For enjoying your footage better, you may need edit Canon EOS C200 4K footage in editing software, such as Final Cut Pro X and Premiere Pro. But can we edit the 4K RAW and MP4 recordings in FCP X/Premiere Pro smootly and without rendering? Keep reading and get the best solution. Although Adobe and Apple claims that the last couple of release updates of Premiere Pro CC and FCP X supports RAW importing and editing, it's not suitable for all frame rates. That's why you always get the MPEG-4 AVC and RAW "generic error" message when you tried to get your editing foftware to recognize files from Canon EOS C200. What's the best workflow to get Canon EOS C200 footage support in Premiere Pro and FCP X? In fact, there is an easy solution to get it to work. The most effective and simple way is to get a professional 4K video converter tool to convert RAW and 4K MP4 video to a more editing-friendly format for Premiere Pro (CC, CS6, CS5) and Final Cut Pro (FCP X, FCP 7, FCP 6). To do that, you can try Acrok Video Converter Ultimate for Mac, which fully supports transcoding any 4K video including 4K RAW, 4K H.264, 4K H.265 files to your editing software native editing format in a few clicks. See how below about transcoding Canon C200 video for editing in FCP X and Premiere Pro. Tip: If you are Windows 10 user and plan to get ProRes video, you can free download the Apple ProRes Converter Windows Version. With this program, you can transcode MXF, MP4, MTS, MKV, AVI, MOV to ProRes codec video easily. Run Acrok Video Converter Ultimate for Mac as the best 4K Video Converter. Drag RAW or MP4 videos from your PC or C200's SD card. You can load multiple files once. If you wanna merge several videos into one file, just click "Settings" then tick the "Merge all files into one" box. 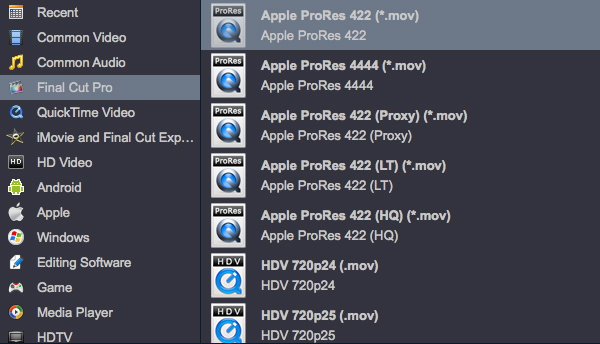 For Final Cut Pro X Users: Canon EOS C200 Video Converter provided five ProRes profiles, you can choose any one of them. Here, Apple ProRes 422 (*.mov) is height recommended. This profiles can help you convert Canon EOS C200 video to 1080P MOV on Mac. For getting original resolution, please click "Setting" button then set "Original" resolution then click "Ok". For Premiere Pro User: The program has three already optimized the video settings for Premiere Pro. 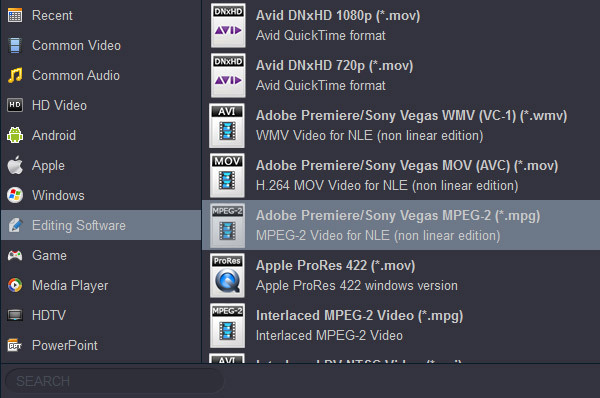 You can select MOV, WMV or MPEG-2 from "Editing Software" as the output format. All output videos will keep the original quality of Canon EOS C200 video and seamlessly fit Premiere Pro CC, CS6 and CS5. Here we recommend you choose MPEG-2. Click the "Convert" button, this software will convert Canon EOS C200 footage to ProRes MOV for editing in FCP X/7/6, convert Canon EOS C200 video to MPEG-2 MPG for importing into Premiere Pro CC/CS6/CS5 on Mac immediately. You can find the process in the "Conversion" interface. When the conversion is done, click "Open" button to locate the converted video files. 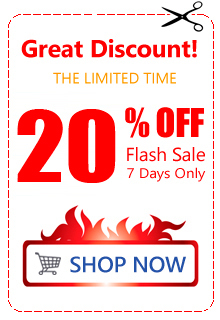 Now, you can import and edit Canon EOS C200 RAW and MP4 video in Final Cut Pro and Premiere Pro without any problem. This is the best video converter I have ever used. I have tried many. I have used Acrok for years. I think this is better. Simple interface and it works. Make sure you get the ultimate version.